An Intuitive In- and Output Medium Introduces itself. The variety of available touch screens is huge. Terms like PCAP, capacitive, SAW, infrared, optical bonding etc. make the rounds. To keep the overview is not easy and to choose the right fitting touch technology for the own application certainly not. But: Do not worry. 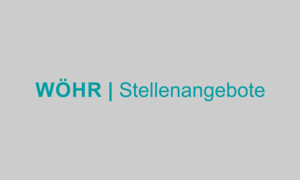 The WÖHR experts will help you with advice and assistance. We provide advice on the selection of the fitting solution regarding your requirements. If something you need is not available by default, we develop and produce it individually for you, no matter if it is a single touch screen or a complete and complex input solution including mechanical and other components. WÖHR offers everything from a single source. PCAP technology is based on a capacitive (CAP) principle. The user changes the charge of an electric field created on the surface of the sensor by touching it with one or more of their fingers. These changes are recognised as input by a downstream touch controller. 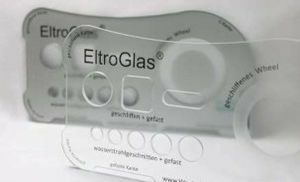 The sensor surfaces are installed behind a glass cover and perfectly protected against damage or wear. Thanks to its specialised, protected construction, in PCAP technology capacity changes are indirect. This means they are projected through the cover glass (the P in PCAP). A touch screen in resistive technology consists out of two opposite surfaces, whose facing sides are conductive coated (ITO). They are separated from each other by small so called spacer dots. The both surfaces can either be foil on both sides or be one side foil and opposite side glass. The touch screen has measurement leads (four, five or eight), which conduct a voltage over the touch point if the screen is touched. Measured in horizontal and vertical direction, the position of the activity is determined by interpolation. Ultrasonic beepers on the side surfaces of the “touch screen” emit horizontal respective vertical ultrasound waves. This signal is detected on the opposite side. By touching the display with a finger or another soft object, parts of the waves are absorbed and the controller can determine the position by measuring the amplitudes. The touch screen in infrared technology is surrounded by a frame which contains IR transmitting diodes on one side and IR receiving diodes on the direct opposite side. So, in vertical and horizontal direction an infrared grid is created. Whenever this grid is interrupted, the position of the interrupting object can be determined. In this technology sizes between 12 and 80 inch are feasible. Also the carrier glass can be chosen without any limitations i.e. for the food industry or other sensitive areas screens made of shatterproof polycarbonate. Sure, each touch technology has its individual advantages and disadvantages. Otherwise there would not be different technologies. Which technology best fits for your application, we discuss personally with you. Therefore, get in touch with us or appoint a callback with us by using the buttons on the top. 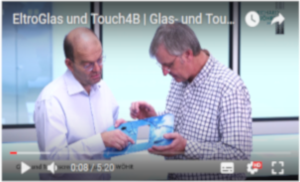 For a first overview you can also use the table below, which takes a closer look on different aspects of the four touch technologies.